From the scenic banks of the Potomac in Washington, D.C. to the lively heart of Music City in Nashville, Gaylord Hotels® celebrate the heritage of their destinations. Fueled by the brand’s hallmark “Everything in one place” concept, Gaylord Hotels resort vacations blend magnificent settings, luxurious rooms and world-class entertainment. Consider Gaylord Hotels for your next getaway, business event, group gathering or convention center. 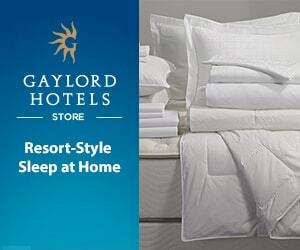 Loyalty members can enjoy earning and redeeming at all five Gaylord Hotels resorts. Our Nashville resort features freshly remodeled guest rooms and suites, a completely redesigned Cascades lobby with VIP check-in area, the challenging Gaylord Springs Golf Links, a convention center, and Relâche Spa, a 20,000-square-foot spa and fitness center. Celebrate Music City and explore nine acres of shopping, entertainment, dining, meeting and convention space, indoor gardens, cascading waterfalls, and an indoor river with our very own Delta flatboat. FEATURED PACKAGE: Receive up to a $100 Resort Credit! This majestic Kissimmee resort spans 63 acres and includes shopping, restaurants, Relâche Spa & Salon, and Cypress Springs Family Fun Water Park. Our signature atriums recreate three Florida environments, immersing you in the state’s sights and sounds...from the gently rising mists of the Everglades, to the funky and vibrant island revelry of Key West, to the Spanish-infused, old-world charm of St. Augustine. Less than a five mile drive from the gates of Epcot®, with Disney and Disney's Hollywood Studios® less than two miles beyond. The awe-inspiring Gaylord Texan invites you to experience the energy and excitement of the Lone Star State while enjoying authentic Texas hospitality. Beneath our stunning glass atriums you’ll find indoor gardens, winding waterways, and distinctive shopping, dining and recreation options including Relâche Spa. Conveniently located between Dallas and Fort Worth, Gaylord Texan offers a convention center and over 490,000 square feet of flexible meeting space for your next event. Located in the heart of 300-acre National Harbor, this premiere Washington, D.C.-area hotel is minutes from the nation’s capital and has everything you need for luxurious resort vacations, weekend getaways, business trips or a special night out. Our spectacular 19-story glass atrium offers sweeping views of the Potomac River, Washington, D.C. and Old Town Alexandria and includes five onsite restaurants, shopping, Relâche Spa, networking areas, a business center and much more. FEATURED PACKAGE: Receive a $50 Resort Credit per night! Located minutes from Denver International Airport in the idyllic All American City of Aurora, Gaylord Rockies Resort & Convention Center will feature over 1,500 guest rooms including 114 well-appointed suites and over 485,000 square feet of extraordinary meeting and convention space. As a gateway to the Rockies, Gaylord Rockies will offer memorable experiences to its guests with first-class restaurants, a luxurious spa and salon, diverse shops, winding waterways and picture perfect sunset views. Rustic alpine charm and exciting "open-air" activity make this Rocky Mountain Front Range retreat an adventure in itself. Combining the magnificence of our spectacular resorts with an unrivaled personal touch guarantees the increased flexibility and efficiency you need to create your perfect meeting. 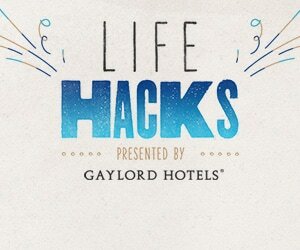 It's a philosophy every bit as unique as our properties themselves, and an experience you'll only find at Gaylord Hotels — where higher standards plus superior value make the difference between just another good meeting and the best meeting you've ever had.